BA's Terminal 7 and AA's Terminal 8 compare very well to the better European airports. Not the same level of service as AMS or LHR T5 but better than CDG FRA or ZRH. Swift check-in short walks lounges easy to find decent supply of shops of restaurants. The skytrain between terminals works well. Immigration and customs much more friendly than at IAH (Houston) or ORD (Chicago). Would use JFK again when on BA or AA. I came back from the Philippines arriving at T3. Our first welcoming was a female doing her nails and yelling at people to get to the right side of the corridor and telling us to wait at an invisible line till she called for the next group to proceed. Welcoming two was a male yelling for us to go to the other side of the room to get on line for immigration. At the other side of the room were people in large crowds coming our way. I then realized the entrance to the immigration line was actually in the middle of the room meanwhile the agent was still telling everyone to go to the other side of the room. Welcoming three was the deplorable condition of the place. T3 looked like a state prison swarmed by dusty looking cab drivers and no entrance for regular traffic thus your only transportation from the terminal is taking a medallion yellow cab. If JFK is "where America welcomes the world" (as you see on every road sign on the way to and from the airport and hear via the regular tannoy announcement in the taxi queue outside Terminal 1) you could be forgiven for thinking they don't like visitors very much. We arrived at JFK Terminal 1 and straight into a huge queue for the Immigration Desks (only 6 desks open for the mammoth assembled throng). At our time of arrival Air France Lufthansa and Aeroflot all had busy flights arriving at roughly the same time so it is hard to see why more desks were not made available for us given the large number of visitors coming to NYC for New Year. Common sense eventually prevailed and passengers were directed to the desks for US citizens. The few Immigration officials that were on duty were courteous and professional and following a nightmare baggage reclaim (over 400 passengers ganging up on 1 baggage carousel) we were out of the Terminal but not before having to navigate a path through the huge number of cases just left lying around by the flight connections desk. Surely that is a safety and security risk?. 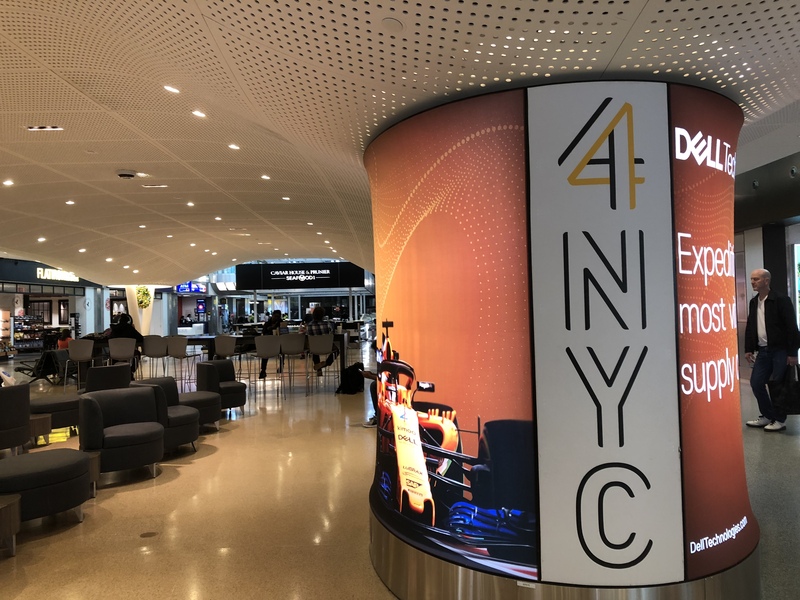 Having previously used Terminals 2 and 3 at JFK (don't need to add to the horror stories already posted on here) Terminal 1 is a definite improvement - but not much. Not a great experience with this airport. Arrived early and in good time to check in however the kiosks used to obtain boarding passes only worked for half of the passengers. We were then told to join the queue for bag drop only to be told by another member of staff we were in the wrong queue and had to join the back of another line. When we finally managed to check in we walked to the area where suitcases for being scanned (I don't know why there was no conveyor belt from the check-in desk like other airports?). There was no indication where the line started and when we walked forward we were shouted at very rudely by a woman which was in all quite embarassing in front of other staff and customers. Going through security a young male worker pushing a lady in a wheelchair was also very rude when we were not moving up the queue fast enough and duty-free was awful. We were told to pick up the items at the gate we asked the woman at the gate who then said they would be brought to us in our seats. As they prepared for take-off we then asked a steward where our things were who said they were at the gate still. When we went back to the gate they said they would be brought to us again. I really was not impressed with this airport but the staff were the people who disappointed me the most. I travelled to Orlando via New York from Manchester with Delta Airlines When going through passport and visa control at JFK I have never life met such ignorant and arrogant staff not just to me but to others as well. 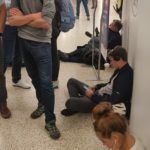 The attitude of some of these immigration officers was unnecessary - you got the impression that they just didn't want to be there and were taking it out on the public. I personally hope it is a long time before I have to pass though this airport again. The Delta terminal at JFK is bar none the worst airport I've ever has the misfortune of flying through. I passed through transferring between an international flight and a domestic flight. Every aspect of the experience was horrible. Lines for customs baggage check-in and security all were terrible. Concessions were ridiculously expensive ($7 for a small bottle of juice at the deli) and of marginal quality. The terminal also had by far the most confusing layout and most useless signage that I've ever experienced. 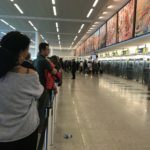 The re-ticketing line was so bad that I was actually grateful that my connecting flight was two hours late so that I didn't have to endure that after waiting in all of the other lines until well after my flight was supposed to have left. SLC-JFK-LHR return. Both times through terminals 2 and 3. These have to be the worst terminals in the world. Terminal 2 filthy very few places to eat. 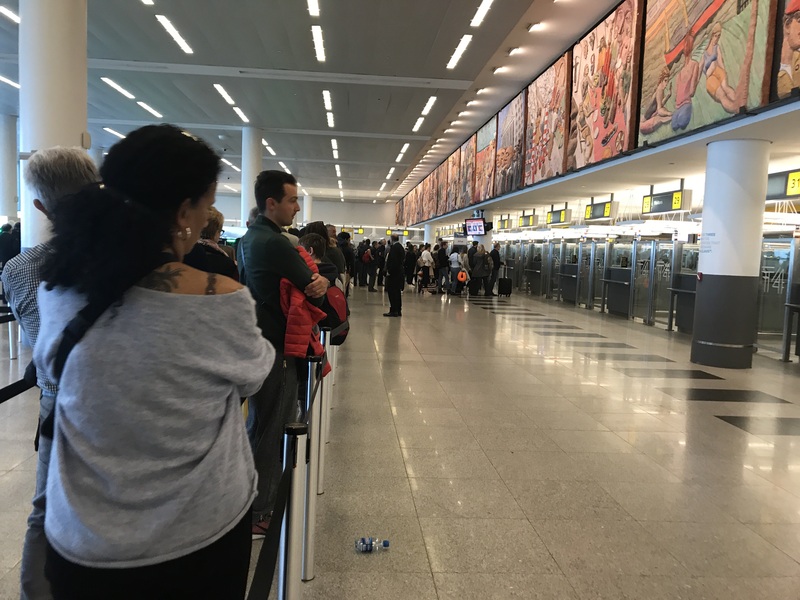 There is no way leaving terminal 4 (International Arrivals) to go to any of the other terminals without going outside of security and having to endure hours of standing in line at terminal 2 or 3 that has one person checking IDs and only two scanners in operation. Terminals 2 and 3 need to be razed to the ground and never spoken of again. While I might miss the "flying saucer" roof of Terminal 3's entrance hall that is the only thing that any sane person would possibly regret losing when this atrocity is finally replaced. As if it weren't outdated and uncomfortable and just terribly laid out for its current capacity and security procedures Delta has clearly given up on any pretence of trying to maintain the facility. To call it filthy and falling apart would be a bit like saying the sun is bright or basketball players are tall. Check-in security bathrooms waiting areas - all of it just atrocious. 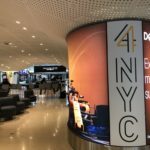 Whenever I'm choosing flights out of NYC I prefer to fly out of JFK because of the transportation but if the flight is Delta I always have to hesitate just knowing the ordeal I'm in for on the ground. Terminal 7 is the only other part of JFK that even comes close in decrepitude and that terminal is relatively servicable! Terminals 5 and 8 are superb (other than a really long walk from the airtrain to T5) and 1 and 4 aren't too shabby either. AirTrain is fast comfortable and efficient. Long Island Railroad from Jamaica is fastest and most comfortable connection though I'd advise tourists to familiarize themselves with transportation routes and options before arriving. Terminal 7 it's extremely complex getting to the airport using public transportation. Switching 3 subway lines getting to Jamaica station then the airtrain station changing platforms and wait there's more getting to the Terminal with dozens of other passengers going the same way and once you get through security check forget about going back to another terminal in case your lounge is located there since everything is so crowded. Staff was good but internal facilities were nowhere close to the ones expected from the cultural and financial capital of the USA. As the self-proclaimed "Gateway to America" this airport is an embarassment. I can't even begin to imagine what our foreign visitors think when they get off the plane and encounter the filthy restrooms in every terminal save Terminal 7. The Port Authority has still not learned how to operate the Air Train efficiently. The "Taxi" hustlers in Terminals 4 and 8 are also atrocious.